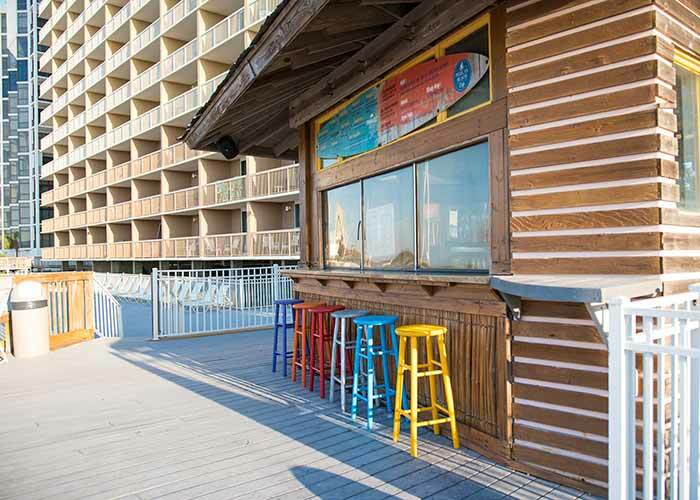 The Tiki Bar’s tropical poolside setting, complete with swaying sea oats, a relaxing sea breeze, views of our lush tropical grounds and its tiki-style, thatched roof bar and lounge areas will continue reminding you where you are – a relaxing, Destin beach sanctuary inspired by nature a long way from home. 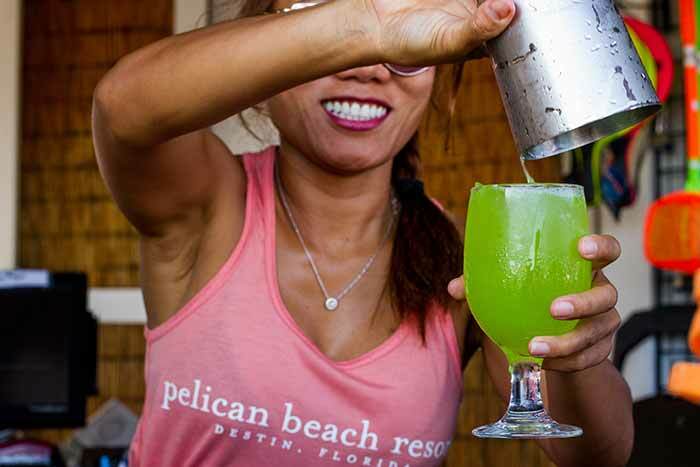 So kick back with your cocktail in hand, share one of our signature beverages with your friends or have a bite of our fresh beach selections while you reawaken your sense of well-being. 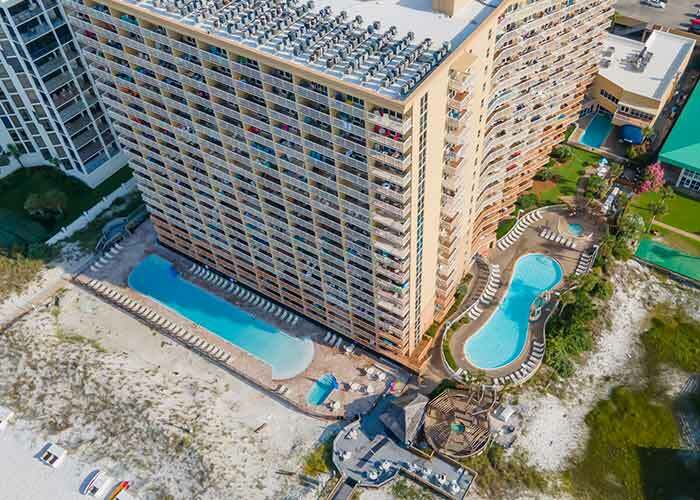 If your vacation time is spend in the sand, you can easily walk up to this easy going spot to grab a snack and your beverage of choice! Pelican Beach’s tiki bar is a full cocktail bar offering wine, beer, spirits, frozen drinks, and virgin daiquiris for the kids. 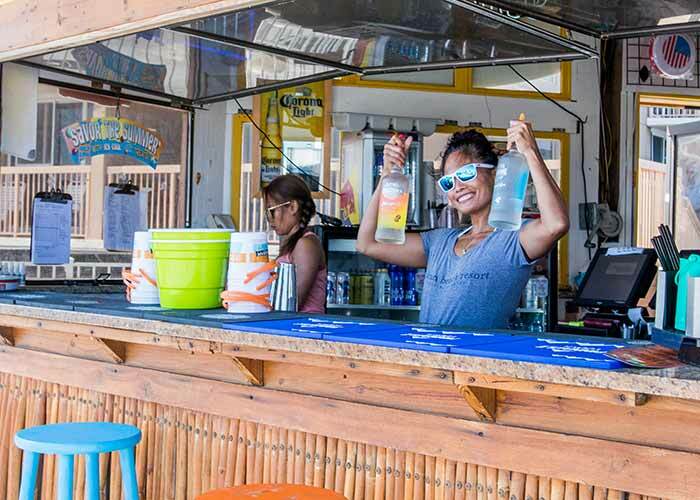 Sip a Piña Colada on the beach as you perfect your tan or hang out on the deck and enjoy live music and a Margarita. 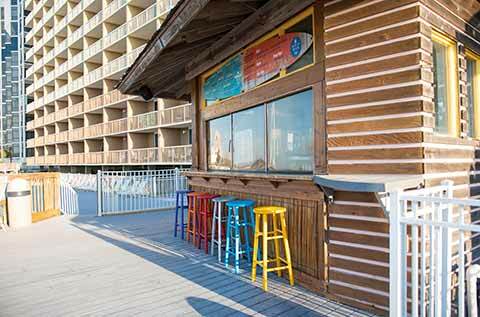 If you need a quick snack, the tiki bar offers Nathan’s Famous® hot dogs, chips, and Dippin Dots® Ice Cream. 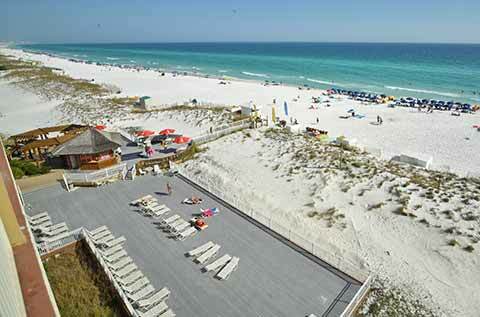 Forgot your sunscreen? No problem! 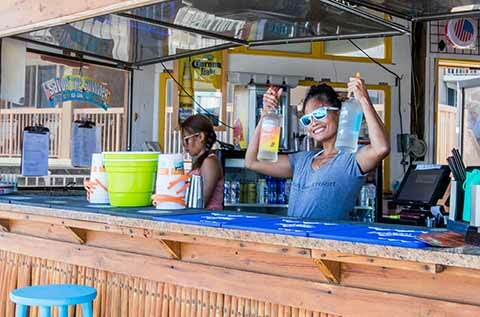 The tiki bar also offers a selection of Tommy Bahama beach retail items and sun-lotions.